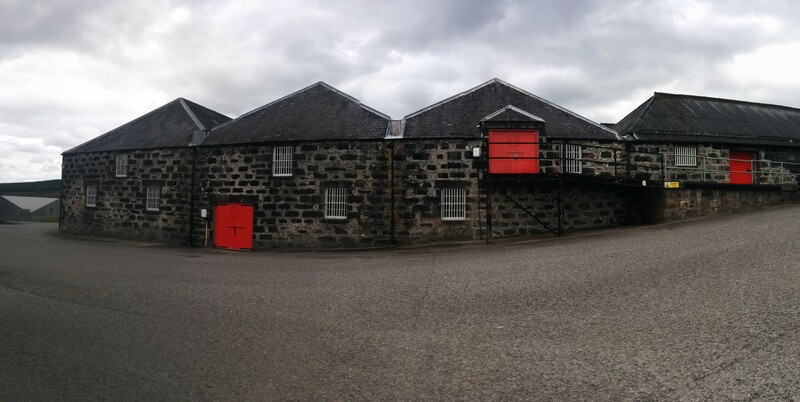 Take a tour of the distillery with one of our knowledgeable guides and discover not only the magic of malt whisky production, but the unique aspects of Family owned Glenfarclas. After your tour relax with a dram in the splendour of the Ship’s Room and browse in our distillery shop. The last tour leaves 90 minutes before the stated closing times. For the connoisseur we offer a more indepth experience by prior appointment at 2PM on Fridays in July, August and September. 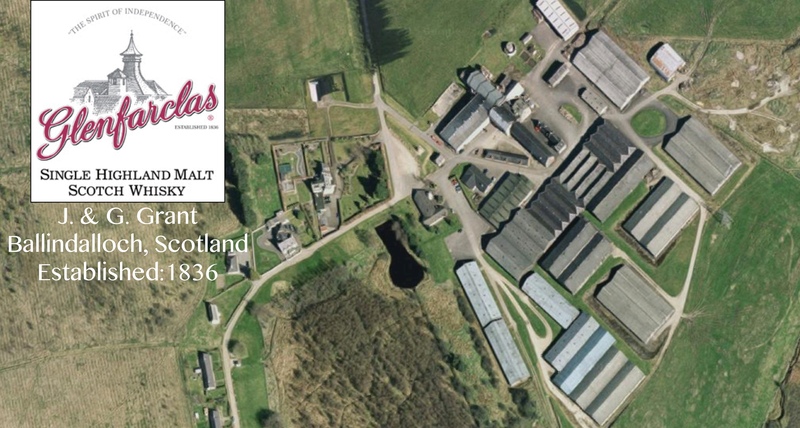 Enjoy a tour of Family owned Glenfarclas, after which one of the Glenfarclas Brand Ambassadors will introduce you to a selection of four of their favourite expressions of Glenfarclas. 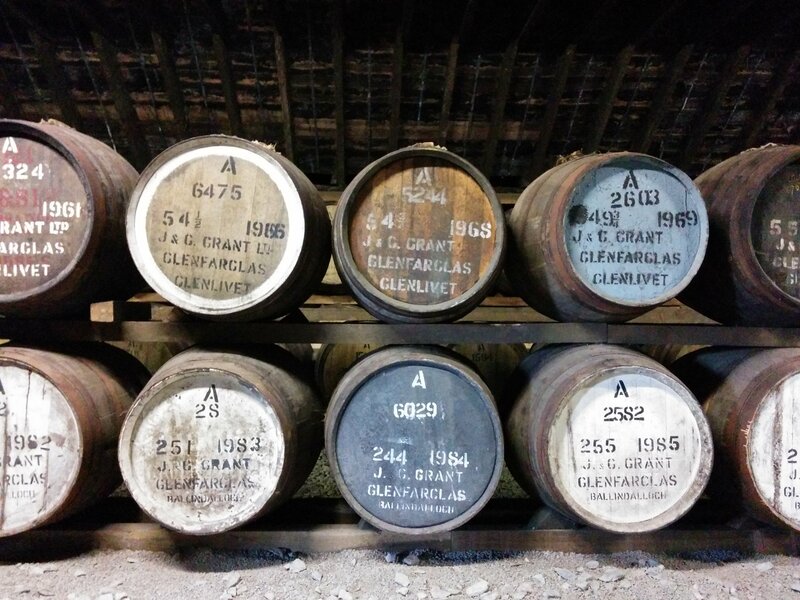 New since 2014, the Five Decades Tour and Tasting is an exclusive in-depth tour of the distillery followed by a tasting of five of The Family Casks, with one from each decade. The whiskies will be selected and introduced by one of the Glenfarclas Brand Ambassadors. Enjoy exploring our history in your glass. At the end of the tasting each member of your group will be presented with a copy of ‘Glenfarclas – An Independent Distillery’ by Ian Buxton. This tour is available for groups of minimum six people, by prior appointment, at mutually convenient times. In addition, due to popular demand, we will run a tour on the last Friday of the month, from May to August only, at 10.30am. Places will be strictly limited to a maximum of 10 people per tour so advance booking is essential. We arrived at Glenfarclas on the Saturday morning. 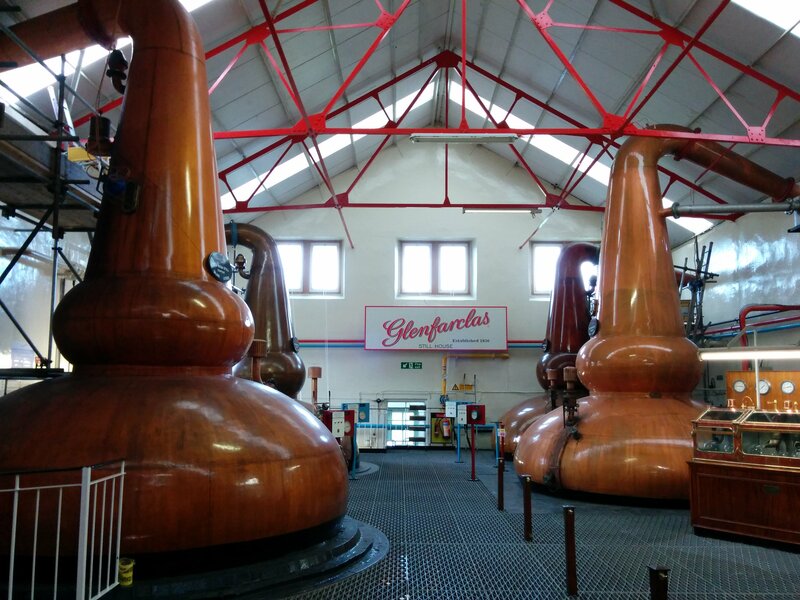 We decided to make our Glenfarclas tour the splurge of the trip so we scrounged up 40 quid each for the Connoisseur’s tour and tasting. Our guide came to Scotland from New Zealand at the beginning of the year to pursue his love of whisky. He was very kind, well informed and his passion for whisky was palpable. 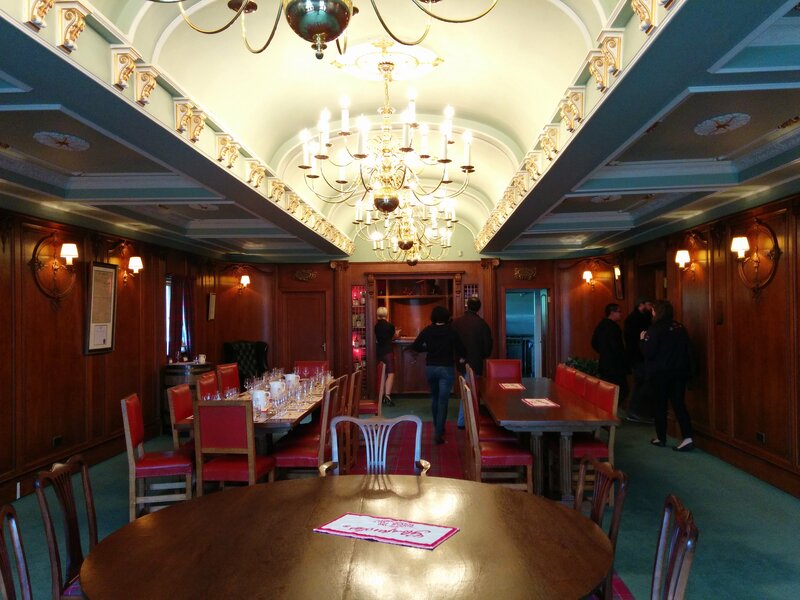 After a tour of the distillery we went into the Visitor Center’s “Ship Room” named so for the wooden paneling lining the room, which previously adorned the RMS Empress of Australia’s First Class Smoking Lounge, a German built, Canadian owned ocean liner that served through 1913-1951. The tasting included the Glenfarclas 10, Glenfarclas 15, Glenfarclas 21, and a dram of the 1989 Glenfarclas Family Casks Bottling (25yo). The drams were about 15ml each. We also had a taste of one of the 2000 Family Cask contenders (15 years old). Though the tour and tasting were fun, we were not sure it was worth the extra 35 quid over the standard tour. So a good tour and experience but maybe better worth taking the standard 5 quid tour and using those extra pounds on a bottle from the shop.